"Hitachi Power Tools M12V2 1/2"" 2000W Vari-Spe Ed Router C/W Case 240V"
Having searched the market for the cheapest prices, 5 offers were found for comparison. Furthermore, a large number of article in 8 relevant categories with a price range from £30.00 to £379.99 were found. Overall, our search showed 3 different retailer for your product "hitachi fan", including zoro.co.uk, manomano.co.uk and Liverpoolfc.tv. 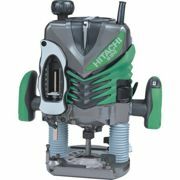 Furthermore, other users were also interested in the following product: Hitachi 18V, Hitachi Kit and Hitachi DV.